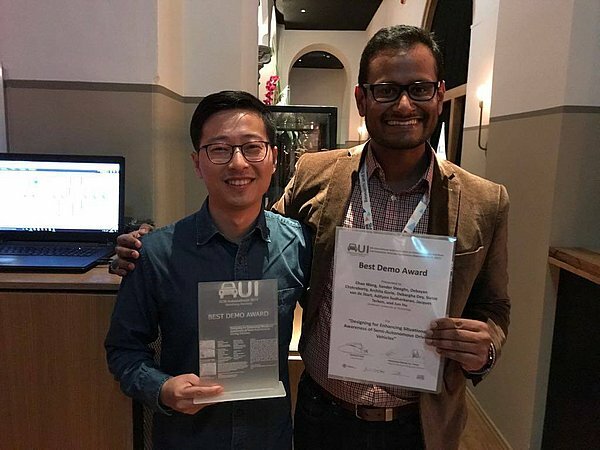 Industrial Design TU/e​ a great success at Automotive User Interfaces Conference 2017! 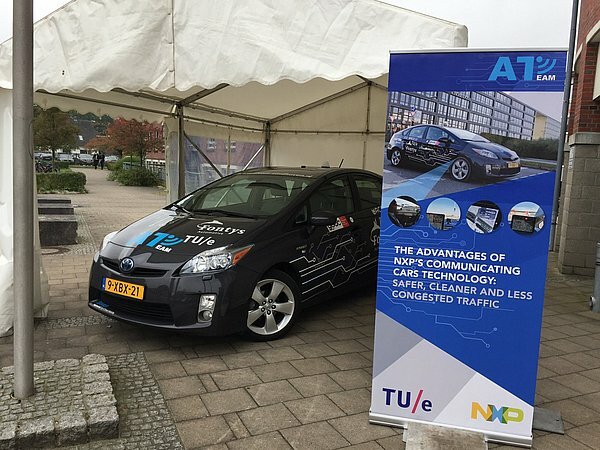 From the 23rd till the 27th of September, a large group of members of Industrial Design TU/e visited Automotive User Interfaces - one of the most important conferences about user interfaces for the automotive industry. Automotive UI is a very international conference that had its 9th edition this year. Led by Jacques Terken, five PHD students and one master student of the TU Eindhoven​ went to city of Oldenburg, Germany to present their papers, notes and work-in-progress posters.The event was a great success for all of our faculty members, not only because of the opportunity to network but also because their work was received very positively. PhD students Juffrizal Karjanto and Nidzamuddin Md. Yusof received an honorable mention for their work on motion sickness in autonomous vehicles. Chao Wang won the price for best demonstrator. His peripheral light prototype will also be displayed at the Dutch Design Week​.Debargha Dey presented both a note and a work-in-progress poster. Hanneke Hooft van Huysduynen en Tom van Veen concluded the conference with their full papers.